One thing I learnt during my creative writing course was that, in order to write well, you must first allow yourself to write badly. I’ve hardly ever been able to carry this out, and for that I blame word processors. They provide a person with too many opportunities to second guess everything they’ve typed, meaning that a single paragraph can take hours to construct. It’s incredibly frustrating! But a manual typewriter doesn’t allow this option. Nope, once you’ve punched a key and printed a letter straight onto a sheet of paper, there’s no turning back. 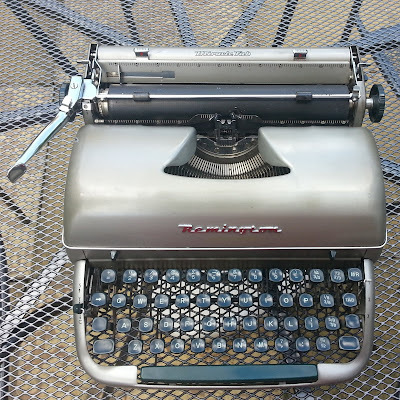 You’ve done it now – you might as well follow that messy train of thought and clean it up later (my idea is to type first drafts with a typewriter, and then to later copy that onto a word processor for editing). Indeed, these are the primary reasons why I have chosen to invest money into a classic machine. Plus, could I honestly pass up the opportunity to own such a marvellous piece of iconic nostalgia? I’ve become quite infatuated with nostalgia over the past few years, as various people know, and I often wish that I’d been alive to experience the first seventy years of the twentieth century (yup, I’m that specific!). The machine, too, may last as long as the rocks of Stonehenge. 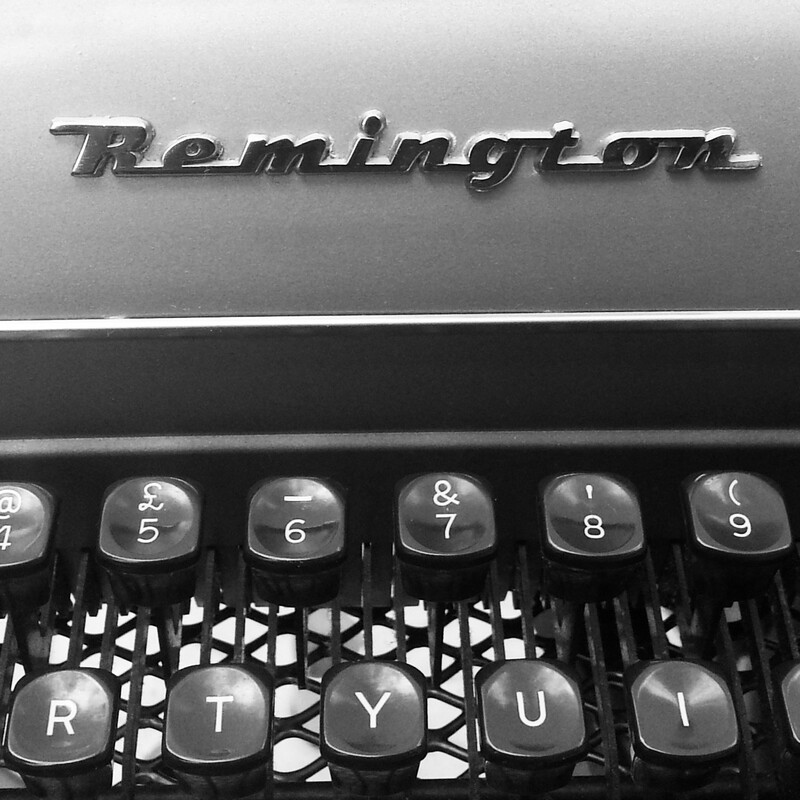 Typewriters are dense things made of steel and were engineered to take a beating, which they do. My dad’s Underwood, bought used just after the war for his single year at U.S.C., had some keys so worn out by his punishing fingers that they were misshapen and blank. The S key was a mere nib. I sent it to a shop for what was meant to be only a cleaning, but it came back with all the keys replaced. So long, Dad, and curse you, industrious typewriter serviceperson. 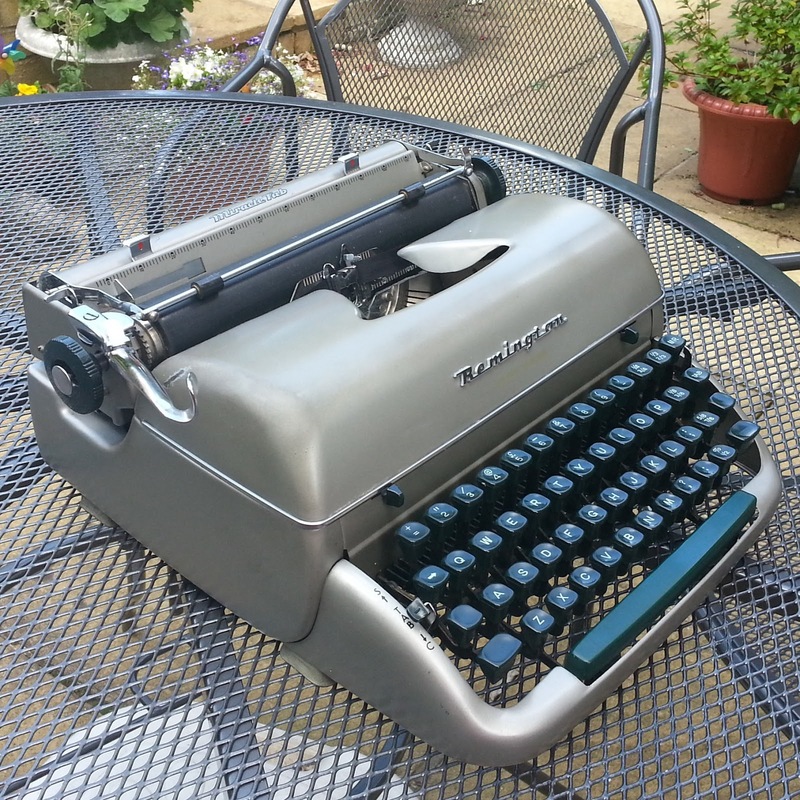 And I mustn’t forget to mention the therapeutic side to typewriting. Don't bother kicking holes in your walls anymore – if you’re really having a bad day, write about it on your manual. Because of the sheer force you’ll need when pressing down on the keys, you’re almost guaranteed to feel a little better! So which typewriter did I choose to offer a new home? Well, after much browsing, deliberation, a few bidding wars and some near misses, I can reveal that I am now the proud owner of a 1958 British-made Remington Quiet-Riter. Doesn’t she just ooze that distinctively '50s style? She also arrived with her original case (though very musty and worn), three ribbons (including the one inside the machine), all the original instructions, and various other bits and bobs. Quite a find, I’d say! 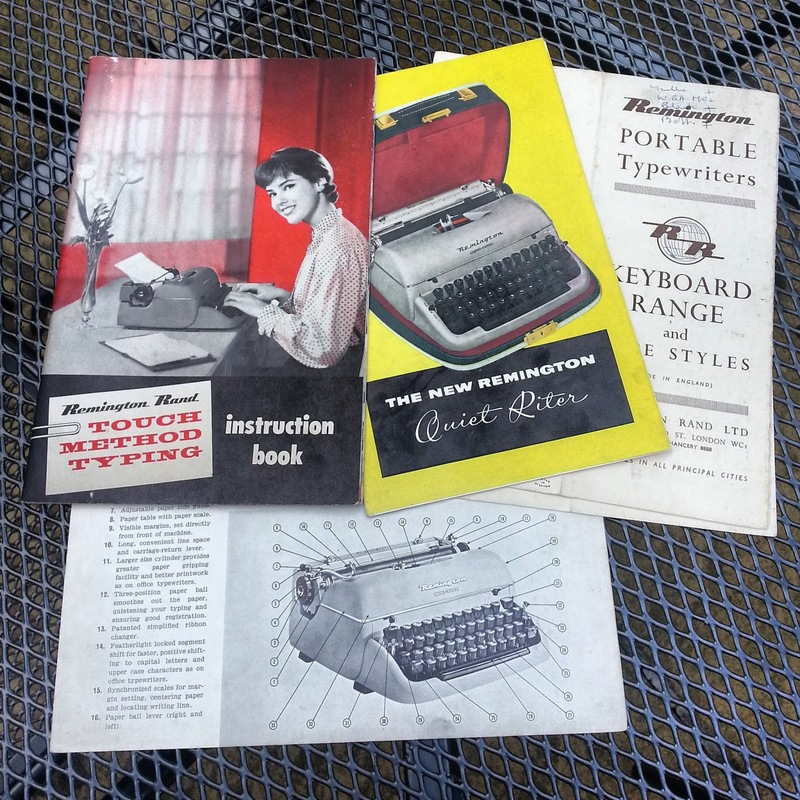 Fancy watching a TV commercial, straight from the Fifties, advertising the American version of my Quiet-Riter? It’s on YouTube in all its cheesy, upbeat glory! And from now on, you can expect to see Betty frequently on my blog. I’ve decided that, each week, I will share something that I have produced on my typewriter. But it won’t be in the normal, word-processed format – instead, I’ll scan whatever it is that I’ve typed and attach the image to a blog post. It could be anything – part of a story, part of a poem, an opinion, a quote, etc. You’ll never know! But until then, folks, let me once again direct you to Tom Hanks’ ode to the typewriter. I just love it!